Photo courtesy of The Hampton Classic & The Book, LLC. McLain Ward sped to the top in the $30,000 Boar’s Head Open Jumper Challenge, presented by Dan’s Papers, on opening day at the Hampton Classic Horse Show. The win marked the four-time Olympic veteran’s first competition since leading the US team to a silver medal at the Rio Olympic Games. Ward’s 2004 gold medal Olympic teammate Peter Wylde was second and Shane Sweetnam of Ireland was third. Ward of Brewster, NY, riding Tina La Boheme, bested a field of 39 by going clear in the fastest time of 59.048 seconds on the Michel Vaillancourt designed course in the beautifully manicured Grand Prix ring. Sweetnam, winner of last year’s Longines Rider Challenge as the horse show’s leading open jumper rider, went fourth and set the stage with a clear round in 59.883 seconds on Main Road, owned by Sweet Oak Farm. That score held up until Ward, going in the middle of the pack, beat his time by a fraction of a second. Ward thought the class was a great way to start the week. The Hampton Classic Horse Show runs through Sunday, September 4 at its pristine Bridgehampton, NY, venue. For this year’s 41st annual edition, a fourth FEI class has been added to the schedule in addition to more than 200 classes of competition for horses and riders of all ages and abilities. A wide range of hunter, jumper and equitation classes are offered at all levels, from leadline all the way up to grand prix. Classes are also featured for riders with disabilities. 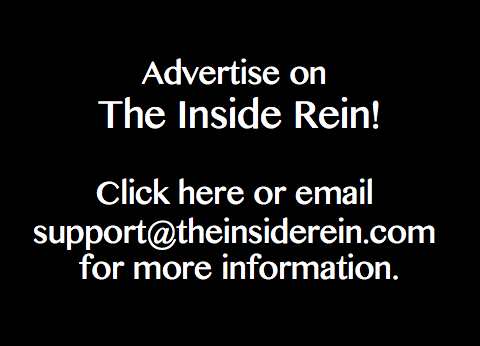 The Inside Rein will providing live updates from The Hampton Classic later in the week so be sure to check back and follow us on twitter @theinsiderein and facebook.